Argentina, tourist destination by excellence for its natural diversity and its human wealth. 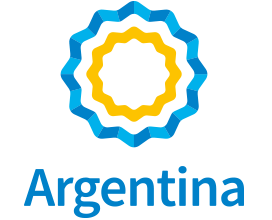 We suggest the following publications: “Argentina Viva”: brochure about tourism in Argentina: “Argentina 360”: brochure about Argentina with information about tourism and other distinctive elements of our country. ONLINE PUBLICATIE VAN "ARGENTINA-NEDERLAND, PARTNERS IN DE 21STE EEUW"